Ok, this may not be a super reduced price, but i thought it would be beneficial to make fellow HUKD'ers aware of this great weed killer. Since now it is summer time when the unwanted weeds try to take over your garden. 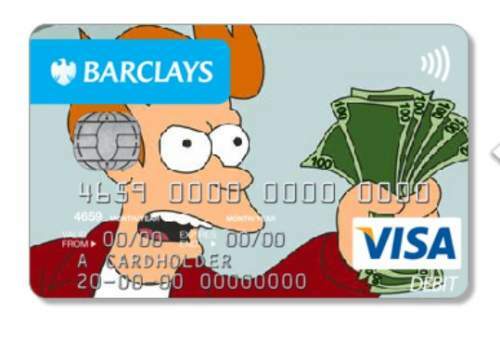 It is usually £48.99 RRP but currently £30.32 on amazon or £30.19 on ebay (same seller) for 5 Litres. This stuff is brutal, i'd advise to cut down your weeds firstly then apply Clinic ace. But unlike the B&Q and homebase usual brands, clinic ace will work much better than those even without cutting the weeds down first. Check the reviews out for reassurance. So this stuff you can just apply to weed areas and it kills, no need to dilute? So this stuff you can just apply to weed areas and it kills, no need to … So this stuff you can just apply to weed areas and it kills, no need to dilute? 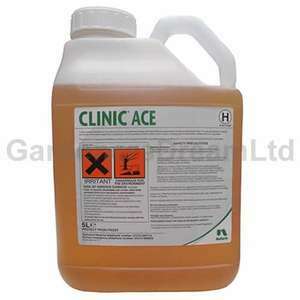 In a 5L sprayer use 100ml to 250ml of clinic ace. But really depends on what you're trying to tackle. Absolutely will do as claimed but don't boast about it down the pub. It and other high strength glyphosate products are not certified for 'domestic garden' use and the instructions make quite clear that certain training precautions are required by law. And don't spray that patch of nettles on your 'estate' and walk back across the lawn dripping chemical from your sprayer unless you like the polka-dot effect. Both seem to have 360 g/l glyphosate, the gallup 360 is slightly cheaper. Heated up for the heads up, but being a Scotman, I think I'm going to try the gallup 360 and use the £3 saved for beer and sweeties instead. OOOO ! The gallup 360 is actually £4 cheaper on ebay (rather than £3 on Amazon) from the same seller. That's an extra couple of mars bars to fry. mm. will this kill grass ? lol, of course it will. As said above, be very careful using this product. Absolutely will do as claimed but don't boast about it down the pub. It … Absolutely will do as claimed but don't boast about it down the pub. It and other high strength glyphosate products are not certified for 'domestic garden' use and the instructions make quite clear that certain training precautions are required by law. And don't spray that patch of nettles on your 'estate' and walk back across the lawn dripping chemical from your sprayer unless you like the polka-dot effect. Lol ,that's me got some stuff from a farmer sprayed my paving stones and then walked across grass and left foot prints on grass that were there for 2 yrs. this stuff is rocket fuel. use with care or end up with a lawn like mine. This stuff, Gallup, Touchdown are all the same as Round Up which you can buy anywhere. It's fine for killing grass and most common weeds but because it only kills what it touches and doesn't stay in the soil, new weeds will shoot up in their place Good price though. No need for the scaremongering, we find glyphosate in foods we eat every day too. If it will give us cancer then i am pretty sure eating it is a lot worse than spraying it in the back garden on some weeds. Also there is no known good natural alternatives. Every professional landscaper and gardener use clinic ace or another top brand. Of course its dangerous like any other weed killer, those in the business actually need a licence to use this stuff. No need for the scaremongering, we find glyphosate in foods we eat every … No need for the scaremongering, we find glyphosate in foods we eat every day too. If it will give us cancer then i am pretty sure eating it is a lot worse than spraying it in the back garden on some weeds. Also there is no known good natural alternatives. Every professional landscaper and gardener use clinic ace or another top brand. Of course its dangerous like any other weed killer, those in the business actually need a licence to use this stuff. Obviously no need for balanced debate then. CFCs anyone? I dilute it 40:1 (25ml/litre) , have done for 20 years, works just fine. You're just wasting it. Seriously, don't get caught using this in your garden, if a water board gets wind of it, the resultant court case will bankrupt you in short order and ruin a good few years of your life! I had a licence and still got dragged through the ringer!! I dilute it 40:1 (25ml/litre) , have done for 20 years, works just fine. … I dilute it 40:1 (25ml/litre) , have done for 20 years, works just fine. You're just wasting it. 40 to 1 is wasting it as well. 250ml into 20 litres of water is plenty to kill grasses and weeds in a garden. Just what I need to sort out my overgrown jungle.